We all feel sad every now and again. But for some people, those strong feelings of dejection can turn into something more serious. Whether it’s mild blues lasting a few days, or a longer bout of depression, nobody wants to be down in the dumps. Besides exercising regularly and surrounding yourself with friends, our diet can play a huge role in regulating our moods. A poor diet that leaves you feel tired, malnourished and cranky will only exasperate any negative mental state, while a clean diet filled with wholesome, nutritious foods will help feed your brain and give your mood a boost. Let’s take a quick look at a few foods that may help fight depression. 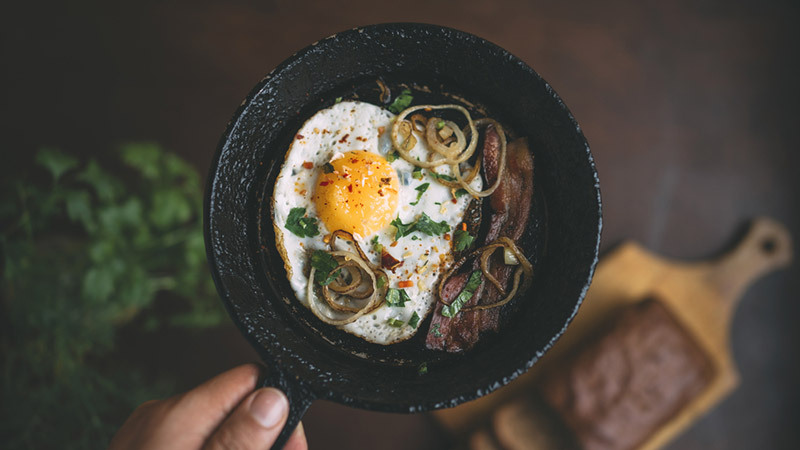 Eggs are little nutrient powehouses of proteins, vitamin B, zinc, and Omega 3, all in one little shell. They can give you an energy boost that lasts all day, preventing hunger and blood sugar spikes to help regulate your mood. 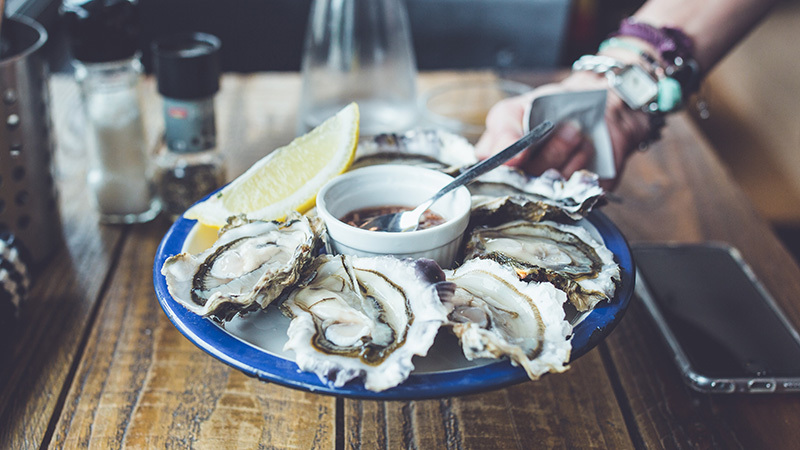 Oysters contain zinc, iodine, and selenium; properties that help boost the thyroid gland functions, a part of your brain that stimulates happiness. 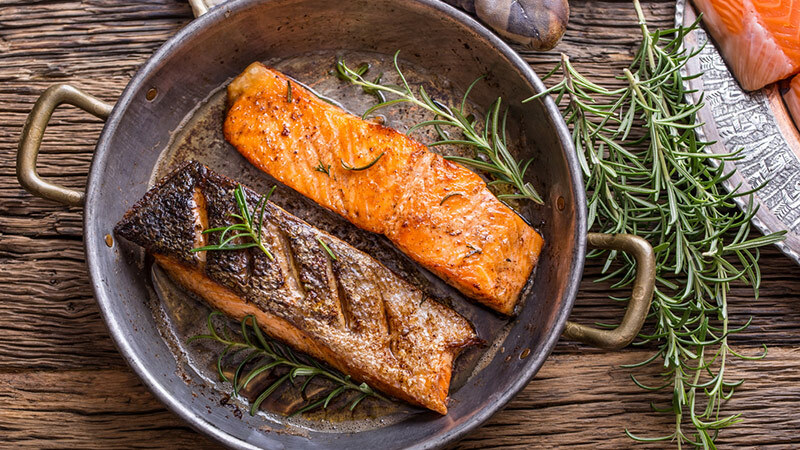 Salmon, tuna, bluefish, and mackerel all have something in common besides being fish: Omega-3 fatty acids. The fatty acids have brain-boosting properties that help fight depression, triggering a chemical in the brain that makes you feel happier. It’s not just for Thanksgiving. Having a turkey sandwich or digging into the bird for dinner can stimulate good vibes. 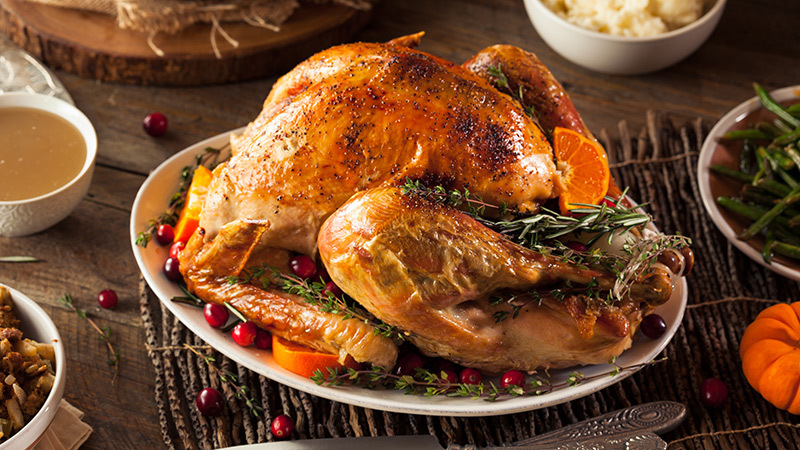 That’s because turkey contains a chemical called Tryptophan, which stimulates the production of serotonin, a natural feel-good chemical. There’s a good reason why you just can’t resist your beloved cheese. 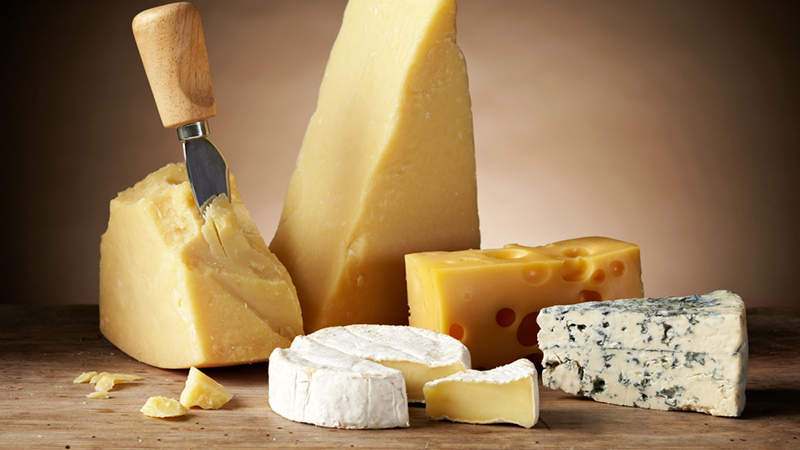 Scientists claim that cheese is addictive because of a chemical called casein, which can trigger the brain’s opioid receptors, giving you a “high” similar to that of taking a drug. Additionally, calcium when combined with vitamin D (the happy vitamin) can help induce feelings of contentment. When you’re craving something sweet, go for a fruit. Fruits contain phytonutrients and fibre that helps with absorption in your body. 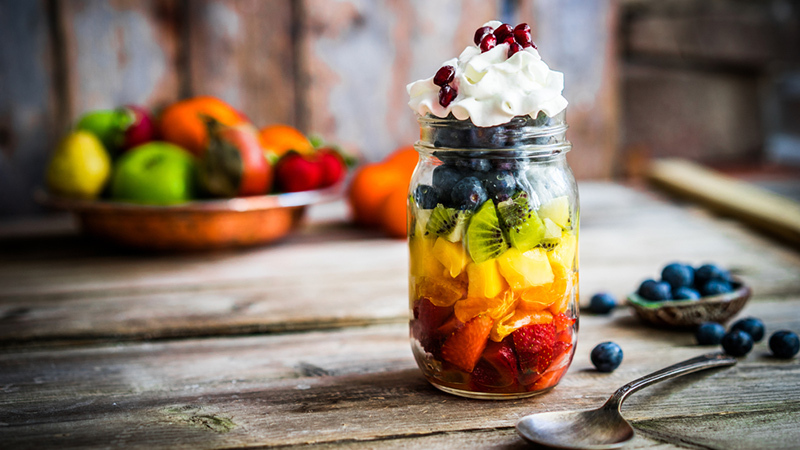 Other foods with added sugar causes your body to have a rush and a crash that doesn’t help with depression, while fruit will put a guilt-free smile on your face. 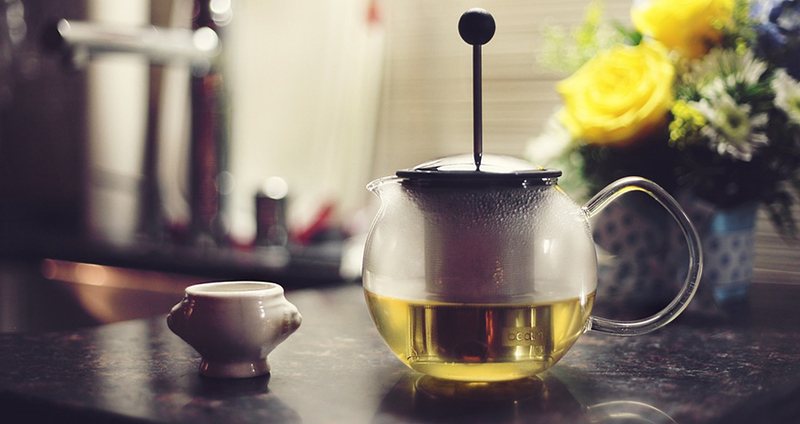 Green tea is rich in antioxidants and an amino acid called theanine. Theanine is naturally found in tea leaves that helps reduce stress and helps you feel relaxed and at peace. 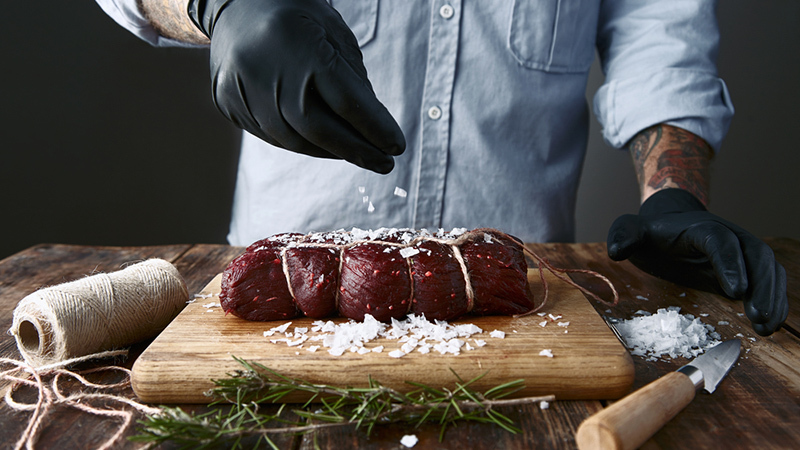 Beef is rich in B vitamins. A lack of vitamin B and B12 can trigger depression for some people and can also cause anxiety. You don’t necessarily need to eat beef to gain vitamin B in your body, as vitamin B supplements will also do the trick. 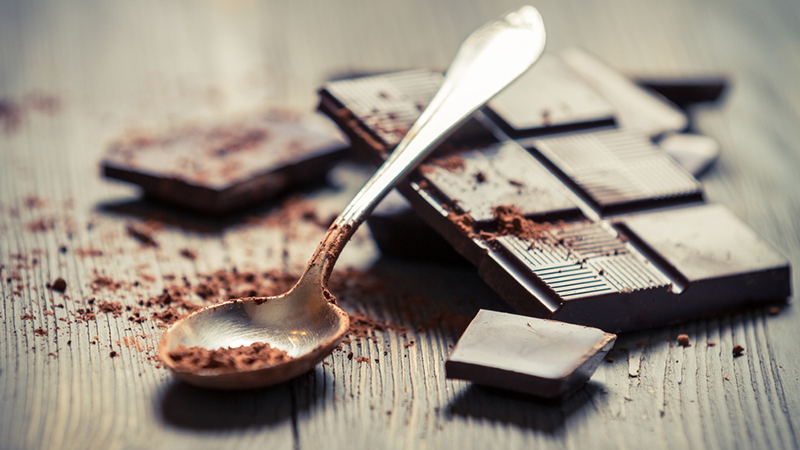 Dark chocolate helps release serotonin, which relaxes blood vessels in the cardiovascular system and helps boost your mood. Not only it is good for your mental health, it has 150 calories per ounce and makes for a very healthy snack. Before you grab white rice, breads, etc., think about the sugar and processed materials that go into these foods. 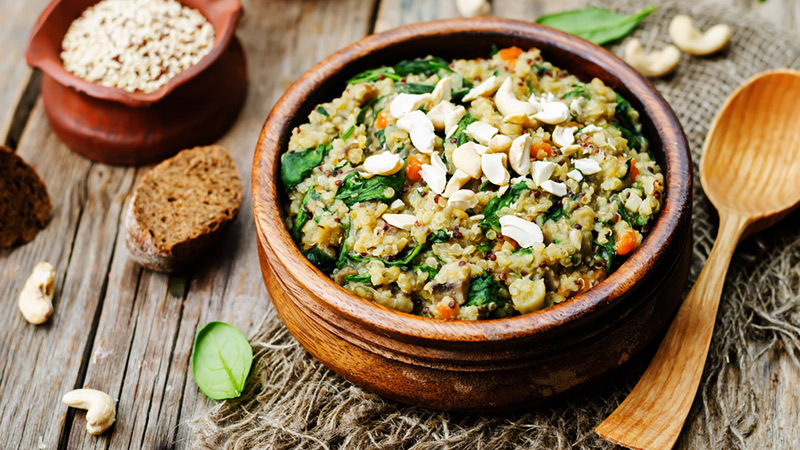 Whole-grains like quinoa release sugar into the bloodstream slowly and takes longer to be broken down, helping burn calories. As a bonus, it also comes with a healthy dose of protein. 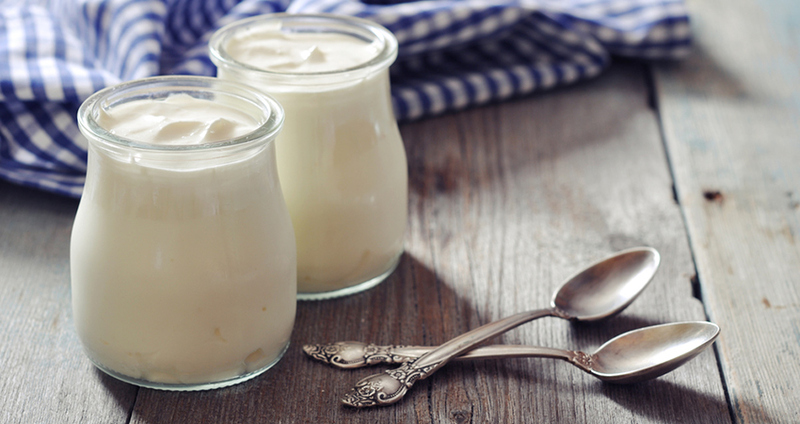 Protein found in Greek yogurt helps with production of norepinephrine and dopamine, which help with alertness, mental energy, and having faster reactions to the world around you. Combine Greek yogurt with almonds, honey and your choice of fruits (all of which are on this list!) for the ultimate mood-boosting snack. 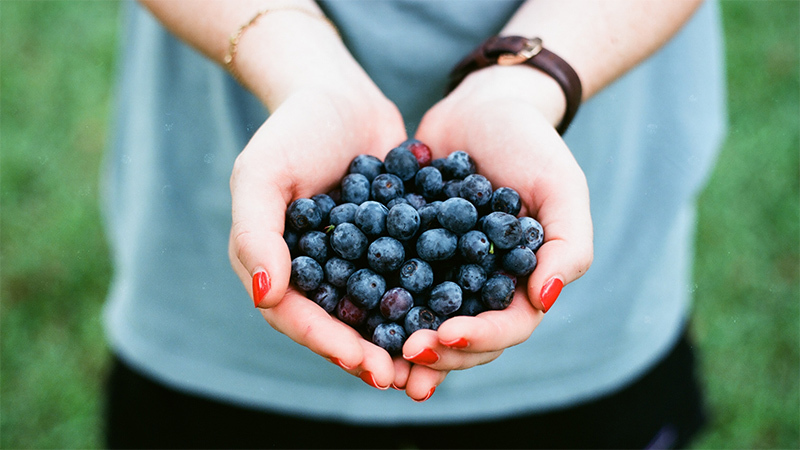 Rich in vitamins and phytonutrients along with antioxidants, blueberries and berries in general help relieve stress and have a sedation effect that makes you feel calm and relaxed. Coconut milk helps rebuild tissue and contains fats that enhance your mood. 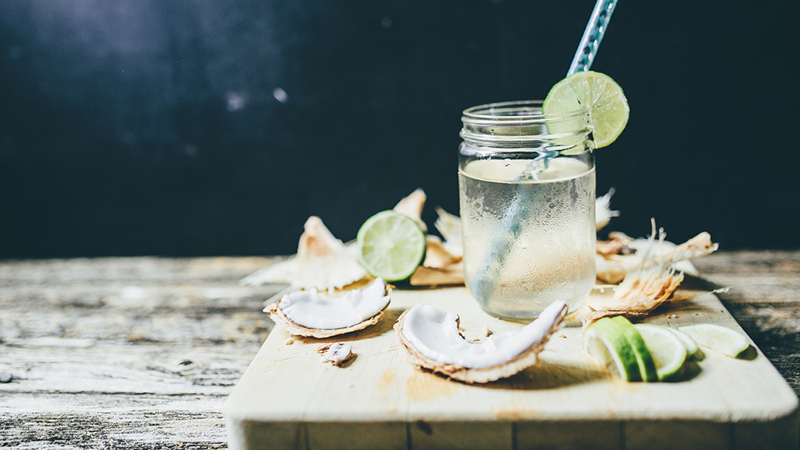 Digging into coconut meat and drinking the tart coconut water helps boost your mood and can help with brain health, too. 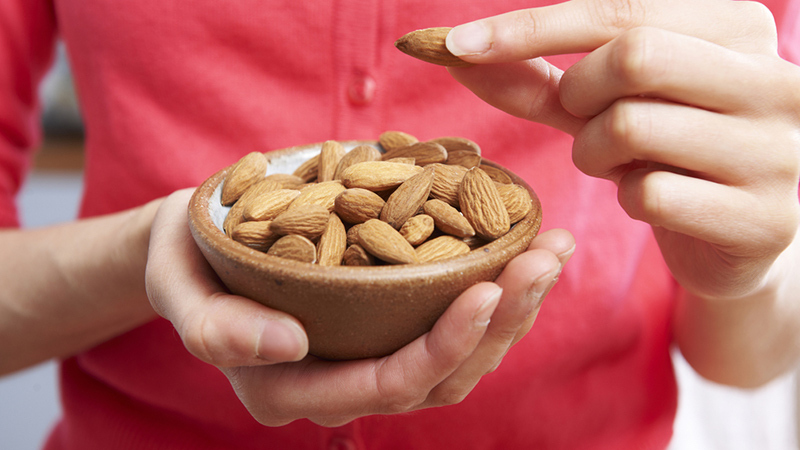 Almonds contain zinc, a nutrient that helps maintain a balanced mood. They’re also rich in iron, which can help fight brain fatigue, anxiety, and lack of energy. 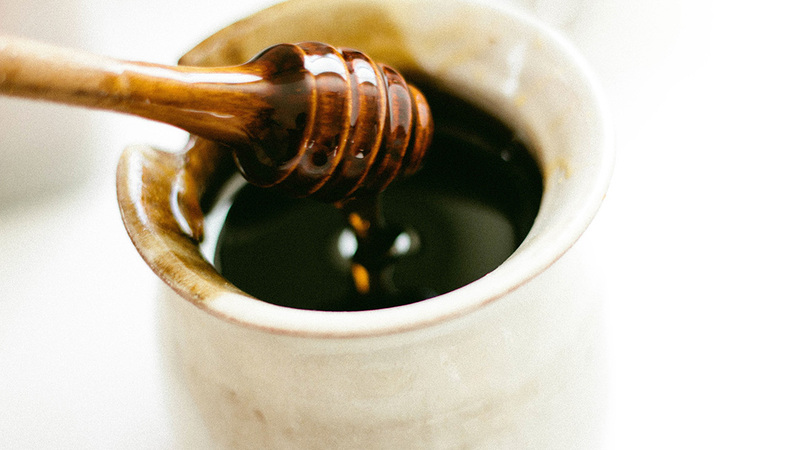 Rich in kaempferol and quercetin, honey helps improve brain health and reduces any inflammation in brain tissue while giving you a mood boost. 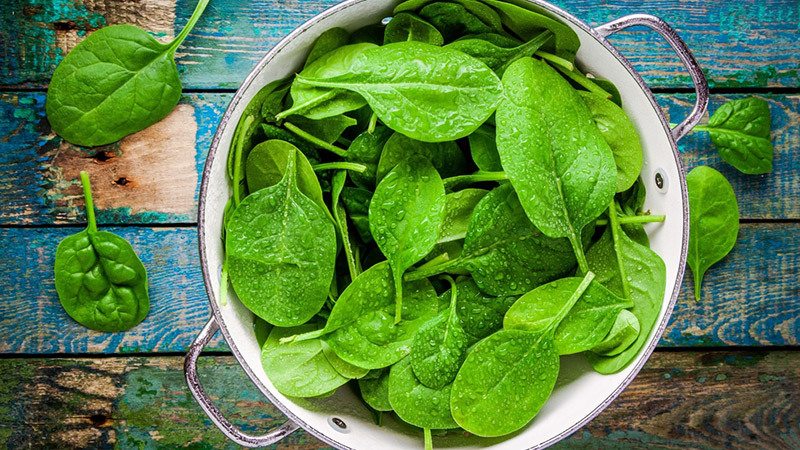 Spinach contains folic acid, a chemical that helps make you feel better and boosts your immune system. Additionally, it contains iron to help you feel less lethargic. 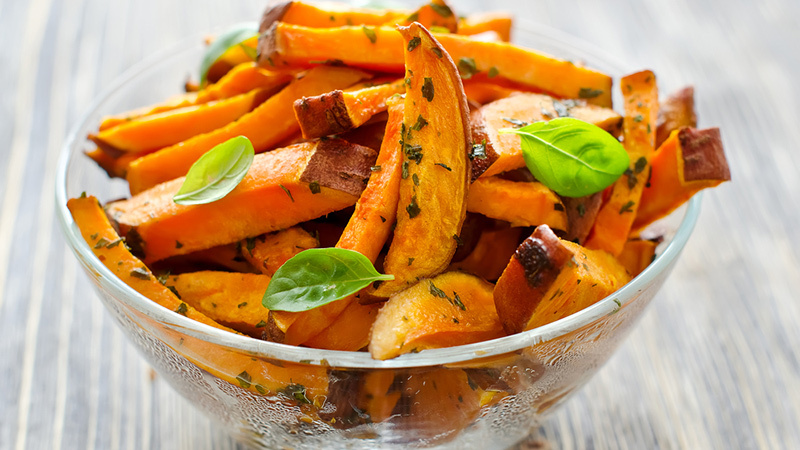 Sweet potatoes contain beta-carotene and B6, components that are mood enhancers and help repair the mind. B6 is often used to treat those with mood disorders and can instantly help with anxiety.